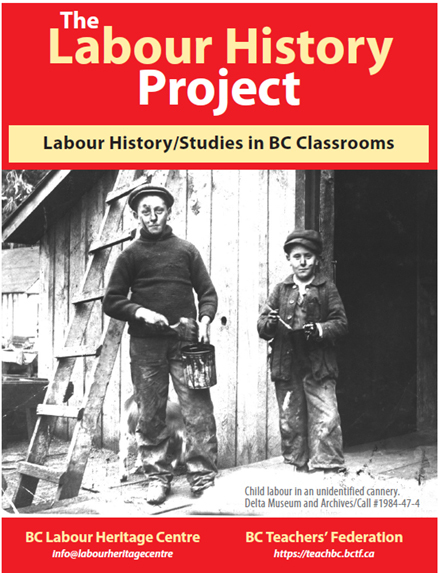 Our labour history project is run by a committee of BC teachers – both retired and currently teaching – who have produced lesson plans for use in BC schools to teach various aspects of labour history. This project operates in partnership with the BC Teachers’ Federation. These printed resources include links to lesson plans, videos and other resources. Download a spreadsheet of the resources currently available. Download a .pdf of the resources currently available.